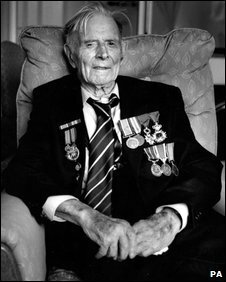 He was a plumber from Somerset, in many ways an unremarkable man, but Harry Patch became the last British survivor of the carnage of the Western Front. He was the final physical link to a conflict that saw two armies bogged down in the mud of Flanders and northern France for more than four years. Henry John Patch was born at Combe Down, a small village near Bath, on 17 June, 1898 in the twilight of the Victorian age. He left school at 15 and became an apprentice plumber but within a year came the outbreak of the Great War. His brother had been wounded at Mons so Harry had an idea what to expect when he was finally conscripted into the Duke of Cornwall's Light Infantry at the age of 18. He trained as a machine gunner before embarking from Folkestone in May 1917 en route to Reims. On his 19th birthday he found himself in the trenches. 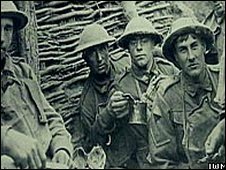 He arrived on the eve of what was to become the last, and one of the bloodiest, British offensives of the war, the Third Battle of Ypres, better known as Passchendaele. The brainchild of Field Marshal Sir Douglas Haig, it was designed to push the army north east and liberate German occupied ports on the Belgian coast. The offensive soon became bogged down in a quagmire caused by torrential rain and the effects of the massive British artillery barrage which had preceded the move forward. The battle lasted three months, gaining just five miles of ruined ground at the cost of more than 300,000 British casualties. Harry Patch's war came to an end on 22 September, 1917 when a German shell burst over the heads of his five man Lewis gun team. Three of them were blown to pieces while Patch was wounded in the groin by a piece of shrapnel. He was in hospital for 12 months and was convalescing on the Isle of Wight when the Armistice was signed. In 1919 he married Ada Billington, a girl he met while recovering from his wound and returned to work as a plumber. They had two sons, Dennis and Roy, but he outlived both of them. Too old to fight in World War II he became a firefighter in Bath, tackling the aftermath of German air raids. In 1980 he remarried, but his wife Jean passed away in 1984. From 2003 he had a third partner, Doris, who lived in the same retirement home and died two years ago. For more than 80 years he would not talk about his war time experiences, refusing to attend regimental reunions and avoiding any war films which appeared on the television. In 1998, he agreed to be interviewed for the BBC One documentary Veterans and the realisation that he was part of a fast dwindling group of veterans of "the war to end all wars" persuaded him to step into the limelight. He accepted an honorary degree from Bristol University in 2004 in recognition of his war service and for his work on the construction of the centrepiece of the campus, the Wills Memorial building, which opened in 1925. On his 101st birthday he travelled to France where he was awarded the Legion d'Honneur, and subsequently made an officer of the Legion d'Honneur. In 2008, he was also honoured by the Belgian king, Albert II, who appointed him Knight of the Order of Leopold. One of his favourite awards however was that of the Freedom of the City of Wells, where he had lived for many years. In 2007 he became the UK's oldest author when he collaborated with Richard van Emden to write The Last Fighting Tommy, a detailed account of his life. He also became a celebrity agony uncle for men's magazine FHM and would often speak at festivals. But Patch had no time for the Act of Remembrance on 11 November, an event he described as "just show business". He always maintained that his Remembrance Day was 22 September, the day he lost his three best mates and his war ended. 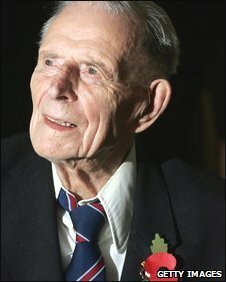 Harry Patch was essentially an ordinary man who led an ordinary life. Even his experiences on the Western Front were no worse than those shared by many other soldiers. What was extraordinary was that he lived so long, bringing first hand memories into the 21st century of a battle that has passed into history.